I had the pleasure of having a reading by Shelby. It was an amazing energy exchange and I came away from the experience feeling energized and knowing which direction to take. I feel she is a very talented reader and will be back for future readings. I highly recommend a reading with Shelby. She is truth and serenity, I enjoyed my time spent with her. Wow, it is hard to express all that my reading from Shelby entailed, it was stunning! She went into my energy and delivered some very valuable information regarding questions & situations in my life. There were many “Soul” revelations, as well as predictions and heart centered truths that came out. I was truly overwhelmed by Shelby’s incredible talent and beautiful delivery of the many messages I received. Thank you so much!!! I highly recommend a reading to anyone looking to clarify the many questions we have about our lives. Shelby is a bright Intuitive that shares her clear and authentic visions with her client. With a direct and compassionate nature Shelby relates information in its most genuine form. Shelby is accurate and informative. 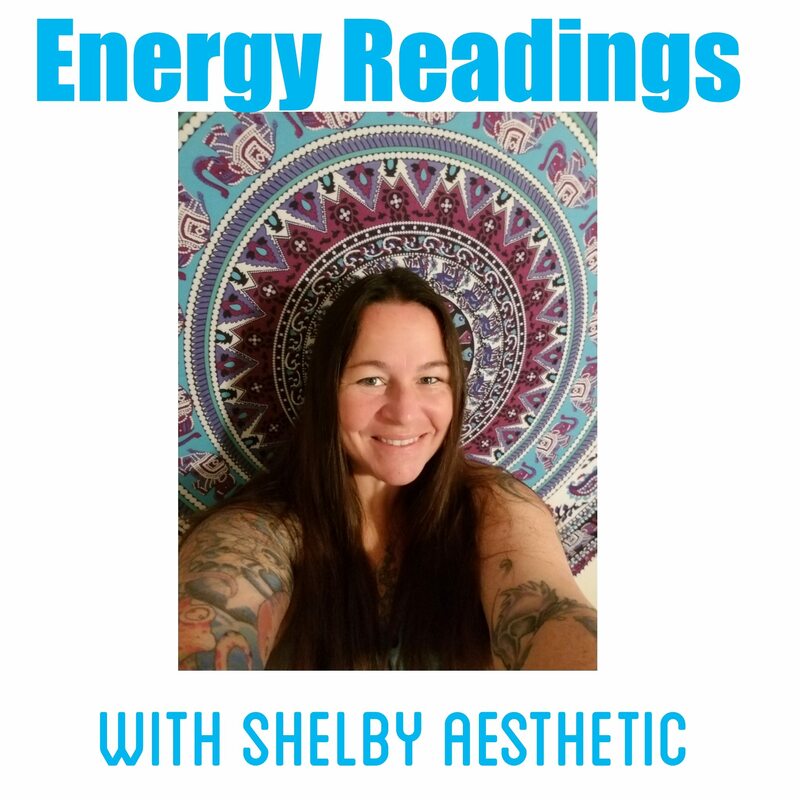 I loved my Energy Reading from Shelby and urge all to book a reading with her. Thank you Shelby! I have experienced over 100 different psychics, as I have a deep interest in psychics and their accuracy. I rate Shelby as one of the top 2 psychics I have ever known. As far as I know, she’s genuinely more capable than is comprehendable. What she does isn’t being psychic, it’s magic, pure and simple. I have yet to see someone recreate that, but on top of that, she is also deeply compassionate and a very kind and understanding. You can’t really go wrong here in my opinion. I had the pleasure of getting a reading from Shelby a few months ago. She hit the nail on the head with everything she said. Shelby is excellent at reading people’s energy. She is very gifted and you would do very well to have a reading from this truly gifted lady. I had an energy reading done by Shelby on my birthday and all I can say is WOW! I have never ever experienced anything like I did in my life then what I did with her during the reading and after the reading. I can’t explain it and I am not sure if I could ever explain my experience with Shelby other then it was truly amazing! This young lady’s talent goes far beyond anything I have ever seen and it blows me away. Shelby, thank you so much for your time and sharing with me your incredible talents! People if you want an extraordinary reading and experience some amazing things then I highly recommend going to Shelby for she is one very special person! I have had the pleasure of receiving quite a few energy readings by Shelby as well as 3 of her paintings. Receiving and bringing the paintings home is an experience. It was such a powerful one I cried everyday for two weeks when I brought home the first one. I would look at it and think of the words she had told me, they were simple but exactly what was necessary to create the healing I was requiring. Her readings are so very spot on and she relays them with incredible kindness. Anyone who come into my house and sees her paintings is astonished by the beauty and energy. I recommend a reading and a painting, to see yourself through the eyes of source invokes healing, calmness, serenity and an overall feeling of love, well at least mine does. I believe wholeheartedly in Shelbys abilities and the goodness of her heart as well as the purity of her intentions, she is everything a spiritualist at the highest level is. I was very lucky to have met Shelby during a time of my life where I felt like I had no direction, and had just lost someone very important to me. Not only was she able to connect to my ex boyfriend who passed away, she was able to describe his personality perfectly, as if she had known him herself. I have never met someone as intuitively capable as her. In a different reading several months later, she was interrupted in the beginning by a spirit named Paul, who was telling her about me. She had only known my first name and my birthday at the time, but she was able to connect to my deceased grandfather, Paul. She has brought me an immense amount of comfort and understanding, and I believe that anyone would be extremely fortunate to be able to have any conversation with Shelby, let alone one of her amazing readings. She is just a beautiful person, with a beautiful energy, and I trust her readings more than nearly any other intuitive. If only my words were able to convey the level of respect that I have for this exceptional gem of a person. Shelby is a truly gifted and powerful clairvoyant medium. For Shelby, it is a lifestyle—as she goes above and beyond, dedicating her spare time, energy, and focus to do what is needed to continuously ensure the accuracy of her readings. Shelby’s readings are an extension of her heart and soul. She so accurately saw all of me, and beyond in exquisite detail. As a fellow clairvoyant medium, Shelby has not only helped me further develop my gifts; she has changed my life. At a time where I was fearful and self conscious, Shelby helped me to see and reclaim my power; advice that I have since then had the privilege of passing on to others. Shelby is amazing! She has a beautiful gift and she shares it wonderfully. She reads energy which was new to me when I found Shelby. She gets right into it and her delivery of what she sees is so comfortable. She is always on point and accurate and makes sure you understand what she is telling you and also gives guidance if you ask about ways to address the new information. I would never seek a reading from anyone else again. Shelby is a very compassionate, intelligent, loving person. You just feel it the minute you interact with her. I believe spirit helped me find her. I highly recommend her. You would be cheating yourself out of a wonderful experience. I was honoured to have Shelby on my radio show. Not only did she provide an excellent reading for me, but for my listeners as well. In my capacity of a radio host I have had a countless number of Psychics and Mediums on my show, and have listened to thousands of readings.Shelby is among the best I’ve had on my show. Not only does Shelby have great psychic abilities, but she delivers the readings in a very down to earth, sincere and genuine way. I highly recommend Shelby to anyone seeking a great reading. Shelby is one of the most beautiful souls I’ve ever come across. Not only is she accurate, but she comes from the heart. My reading with her was so powerful! She has given me so much peace and for that I will be forever thankful. Keep shining, Shelby. <3 Thank you. Shelby is a gifted intuitive, with an authentic window into a person’s soul, life purpose, and future. I trust everything she says because it feels like truth, even though she could paint a happy, pretty picture (which sometimes it is), she sticks with what is real. Nothing woo-woo about her gift, she simply describes what she sees and senses. It seems so matter-of-fact that you can forget how amazing it is that she’s peering into the future. I wish everyone could experience at least on reading from her. It could be life-changing. If you haven’t had any kind of psychic or energy reading in your life, start here. No need to go elsewhere! My sister, who was kind enough to allow my daughter and myself to be part of the call, just had her first Reading by Shelby. All I can say is WOW!!! But, let me say more: Shelby is warm and welcoming, allowing each of us to feel at ease. There was no pretense just pure energy coming from Shelby as she identified the souls that were appearing to her and the messages they relayed. Sitting back, I (mostly) sat quietly giving my sister the opportunity to respond to Shelby’s insights; they were spot on! Each insight that Shelby shared could be easily relatable to the subject, our mother, my sister was seeking to better understand. Our mother had been appearing to my sister. Shelby helped my sister understand that forgiveness and encouragement were messages mom was attempting to convey. The one-hour session seemed to fly by. As I shared with Shelby after the call, I will be scheduling an appointment with her for my own reading! Just sayin’: I wasn’t totally sold on Energy Readers before. Now, I am! At least, Energy Reading with Shelby. Thank you, Shelby, for your personal, warm approach in helping put us at ease while being spot-on reading the energies that surrounded you. I recently had a reading with Shelby and was so impressed with her accuracy and ability to communicate with my loved ones. She was able to help me bring some things into focus that were on my mind. We talked about future plans. And most importantly I was able to connect with my daughter who passed away earlier this year. She is truly gifted and it was such a blessing to have this appointment with her. I would highly recommend Shelby to anyone looking for a connection with their loved ones.